With the rapid growth and popularity of E-Sports and the gaming industry in the Philippines, it was only a matter of time before the leading brands for gaming technology dipped their hands into the market. 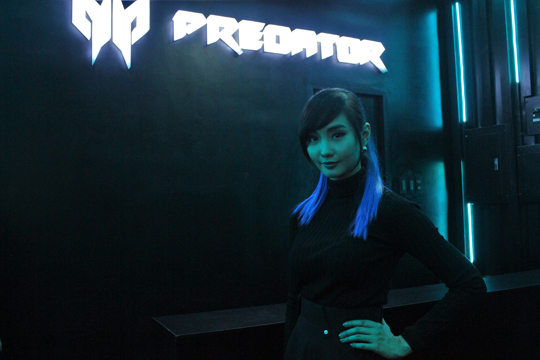 Now, Acer’s hardware gaming brand Predator has finally arrived in the Philippines, opening their first concept store at SM City North EDSA, highlighted by the showcasing of the brand new Predator Thronos and the appearance of Predator Ambassador and famous Cosplayer and Gamer Alodia Gosiengfiao, along with the Managing Director of Acer Philippines Manuel Wong and various SM Officials. Looking like a gamer’s dreamland, the store showcases the brand’s latest gaming technology--from laptops, desktops, monitors and top-notch accessories. The store also includes its own service center that offered Unit Diagnostics, Driver Installation, Software Repair, Memory Upgrading, and HDD Installation. Serving as the store’s centerpiece is the chair of the future, the Predator Thronos. During the store’s grand opening, the Thronos was freely displayed for the public to test freely. Starting at the price of P699,999.00, the Predator Thronos is fully equipped with everything a gamer needs for the most immersive gaming experience. With its 1.5-meter tall steel structure, the Thronos grips a motorized cockpit for adjusting the screen setup which includes three 27-inch gaming monitors supported by an overhead brace and integrated with a Predator gaming PC and all its gadgets. The chair also includes an adjustable ergonomic seat design, footrest, and a cabin that reclines up to 140 degrees. These parts vibrate in sync with the sounds the games produce, allowing for a whole new level experience the Thronos promises. 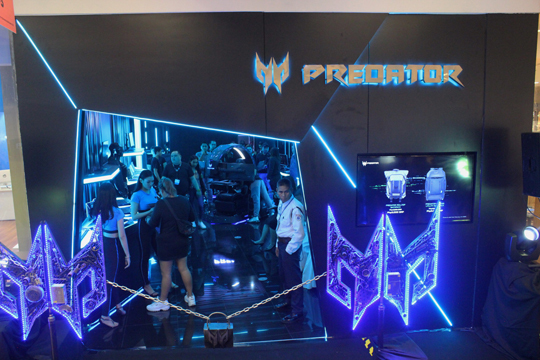 “Experience means everything for the Predator brand,” said Sue Ong-Lim, Predator Philippine Sales and Marketing Director. “We want to create an environment where gamers can see what incredible possibilities there still are on gaming by creating not only a hub for all their tech needs, but also giving them an immersive gaming experience,” she continued. Furthermore, the fun didn’t stop there! The store also displayed and sold other high-end products like the Predator Bag, Acer Nitro accessories, a set of Predator Apparel, a rocking cool headset called Predator Galea, Predator Helios 300, and Predator Nitro Notebooks for a discounted price from Feb. 1 to 3 joining the SM North EDSA’s Great Northern Sale. The concept store is now open on the 3rd Floor of SM Annex, at SM City North EDSA.